Pep Guardiola, manager of current Premier League Champions, Manchester City, will discuss football, identity, culture and politics as the keynote speaker for the annual Edgar Allison Peers Symposium at the University of Liverpool. 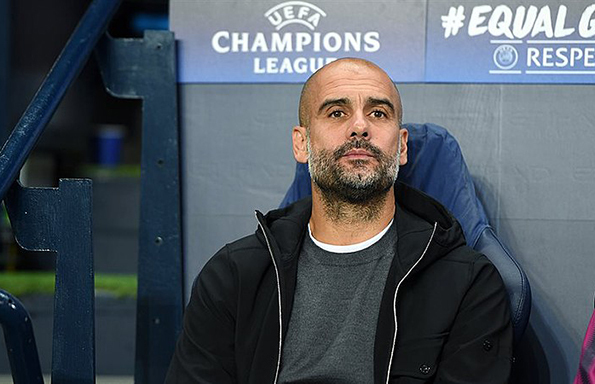 Widely regarded as one of the best coaches ever to have worked in professional football, Pep appears at the invitation of the University’s Department of Modern Languages and Cultures. A proud Catalan, the former Barcelona player and manager will be joined on stage by University academics to consider new movements and the latest cutting edge research within the discipline of Iberian and Latin American Studies. The University of Liverpool is the only UK university that supports teaching and research in all the languages of the Iberian Peninsula, and has taught Catalan uninterrupted since the 1930s. Event organiser and Senior Lecturer in Hispanic Studies, Dr Diana Cullell said: “We are delighted to have Pep with us for our renowned annual Peers Symposium. “We look forward to discussing very varied and interesting topics with him, and we hope that this will be an inspiring and exciting event for all our students, members of staff and the general public. The event is a complete sellout, with around 600 guests expected. But you can watch all the action unfold by tuning into the live stream at www.liverpool.ac.uk/pep2018. We will also be broadcasting snippets through Facebook Live on the Department of Modern Languages and Cultures page. As well as Pep Guardiola, three leading scholars, Dr Par Kumaraswami from the University of Reading; The University of Bristol‘s Professor Matthew Brown and Dr Louise Johnson from the University of Sheffield will consider football from different perspectives; ranging from sports history, to links with revolutionary Cuba and cartoons on pre-Civil War Spain. The 2018 Peers Symposium will also host the launch of the brand-new Bulletin of Contemporary Hispanic Studies (Liverpool University Press). Named after Edgar Allison Peers (1891-1952), Gilmour Chair of Spanish at Liverpool for thirty years and founder of the Modern Humanities Research Association (MHRA) and the Bulletin of Hispanic Studies, the Symposium is one of the most important events held annually by the Department of Modern Languages, providing an outstanding opportunity to bring some of the best thinkers and practitioners to Liverpool to share and discuss ideas, research and practice.